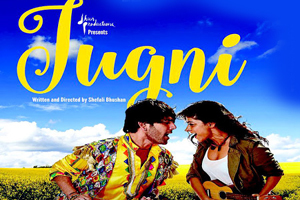 Jugni is a Hindi romantic musical film written and directed by Shefali Bhushan and jointly produced by Karan Grover, Manas Malhotra, Shefali Bhushan. The film stars Sugandha Garg and Siddhant Behl in lead roles, while Anurita Jha, Sadhana Singh, Samir Sharma, Chandan Gill, Kartick Sitaraman plays a supporting a roles. The soundtrack of the film is composed by Clinton Cerejo, A.R. Rahman and lyrics were penned by Shellee. Here is the link of all the songs lyrics and videos of Jugni.